Many times I am so busy running, or doing whatever I think needs doing, that I don’t stop and really see what is right in front of my eyes. 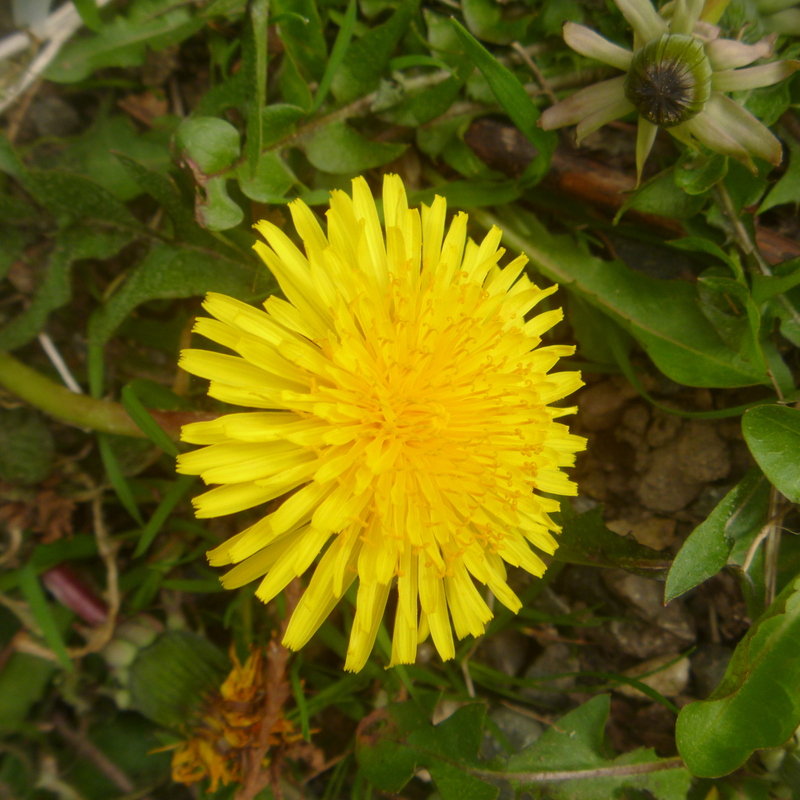 Take this familiar little dandelion. It is not so simple, but rather complex. Aren’t they beautiful and the same color as the daffodils. 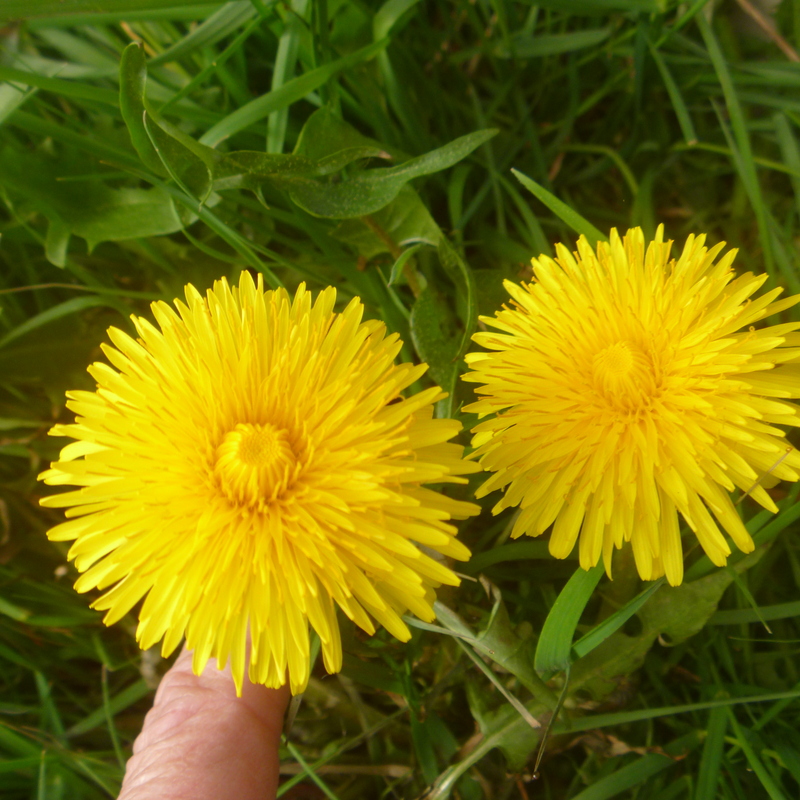 When I look in the pasture, the mass of yellow looks so bright and happy. This morning, I took a good look at them. I never realized they have a wonderful little circle in the middle as they are blooming. It’s gone when they are in full bloom, which is when I usually look at them. And I noticed a lot of rhododendrons starting to bloom. 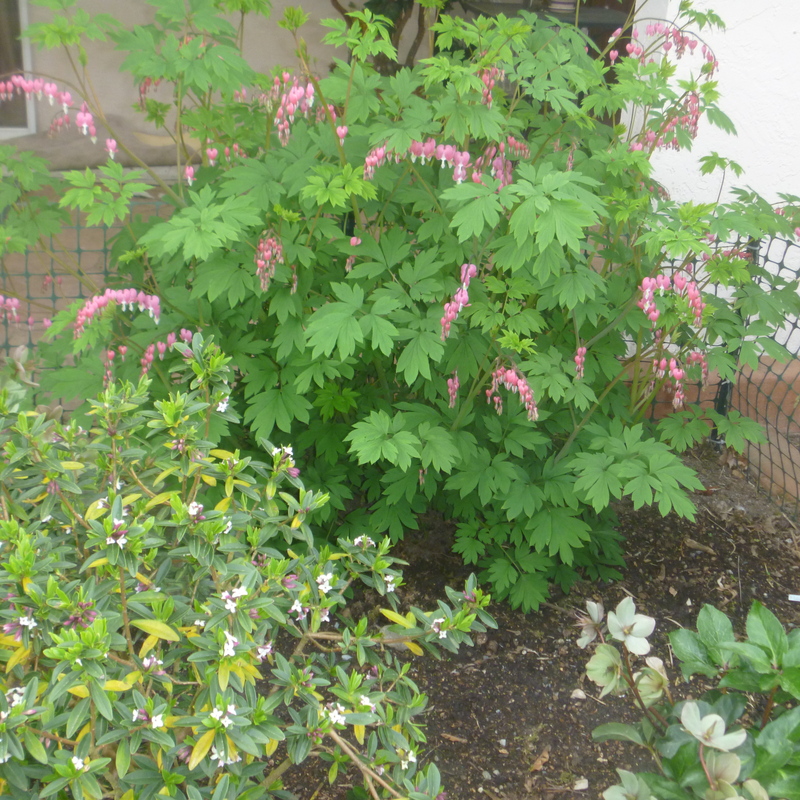 My bleeding hearts are really opening up and the Daphne in front is starting to open. The winter plants on the right are still in bloom. It really does look as though spring is here. I even went and peeked under the straw where I was sure the peas did not make it (only planted 4 feet of them). There are a few venturing out of the ground, so will plant more on Sunday. Today, I retrieved my sewing machine from the “machine hospital”. Then checked out a new yarn store that I have been wanting to visit. Lunch out and a few groceries completed the trip. It’s really difficult to stay in with weather as beautiful as it has been today.